Toon resultaten voor tags 'lobotomyfromthedeep'. 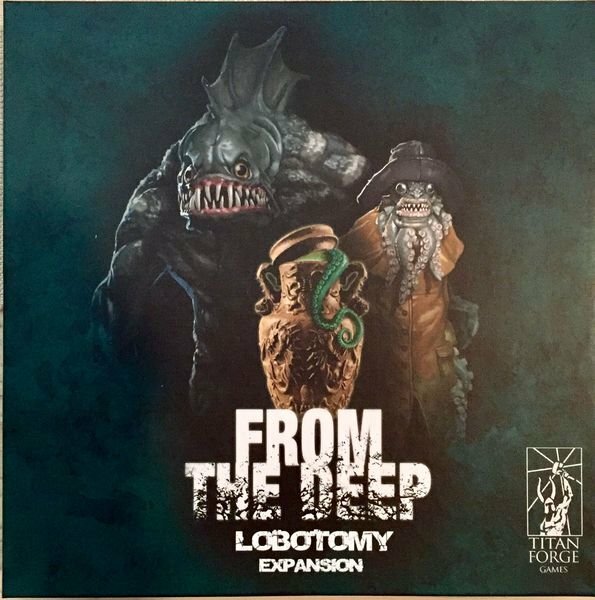 From the Deep is a Lobotomy Board Game Expansion Set inspired by the dark and twisted novels of H.P. Lovecraft. There is an ancient evil lurking in the basement of the mental hospital. The Deep Ones, an amphibious humanoid race, are preparing a ritual to call upon their deity. The only people aware of the danger are the patients of the asylum. Are they crazy or is Dagon the Great One really coming to destroy reality? Find out with 5 game changing modules included in the expansion. Go deep with new miniatures: a new character Philip Howard, a horde of Deep Ones and the terrifying Father Dagon. Alter the gameplay with a set of small boards - the locations of challenging rituals. And finally get rewarded for saving the world by a deck of mysterious, powerful, beautifully drawn artifacts.